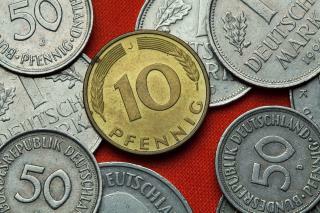 (Newser) – A German bank employee spent six months dealing with a family's inheritance, which totaled in the millions—of coins. Deutsche Welle has the somewhat improbable story of Wolfgang Kemereit, a worker at the Oldenburg branch of the Deutsche Bundesbank who was tasked with counting 5,500 pounds of coins by hand. They had been amassed over three decades by a man who left the 1.2 million one- and two-penny coins to his family. with the rate of inflation Central Banks have inflicted on the world in the past century, he'd have been better off spending it as they came. Well, the bank must not have had the necessary equipment on hand and it may not be used any more. So have you ever found loose change in the washer and it's really clean? Well a bank where i had an account had a big front load washer made just for coins. They would put in a huge amount of them and wash them like clothes. They came out like a shiny new coin. Then the clerks would put them into the big coin machine and it would do the rest. 6m / 180 days - 24 days off = 156 days / 8h = 1248 hrs / $9400 = $7.5 dollars an hour. Congrats on inheriting minimum wage.